KICKSTARTER campaign is off to an awesome start! THANKS HEAPS to all of you who have donated already — and everyone who’s getting ready to!! We really appreciate your help to get the word out as quickly as possible! World Premiere approved for New Zealand International Film Festival! Exciting news: the film has received early acceptance for the New Zealand International FIlm Festival 2015 (July/August)!! Now we need to find a way to finish it in time. Stay tuned for our Kickstarter campaign! Many thanks to all who attended and helped to organize our fundraising event at Circus Cinema, Martinborough! The Q&A following the screening, moderated by John Ansell (head of Word Club) was one of the most lively and in-depth that Robin has encountered for the film anywhere in the world. Special thanks to Iris Lai of the Taipei Economic and Cultural Office for providing an information table and raffle items – as well as to Libby Paterson for her generous and creative offering of a lemon/lottery tree as the raffle’s main prize. Thanks also goes to John Taylor of the Martinborough Lions Club, who invited Robin to address the club in the lead up to the event, and to Circus Cinema Café for their sumptuous catering. The event has helped us to move towards our initial target to begin the first stages of editing during August/September. Circus Cinema will be hosting the Martinborough premiere of The Free China Junk on Sunday, 22 June at 3pm. This special matinee screening will be a fundraising event for completion of Return of the Free China Junk. Following the screening, there will be a Q&A with Robin, along with nibbles provided by Circus. 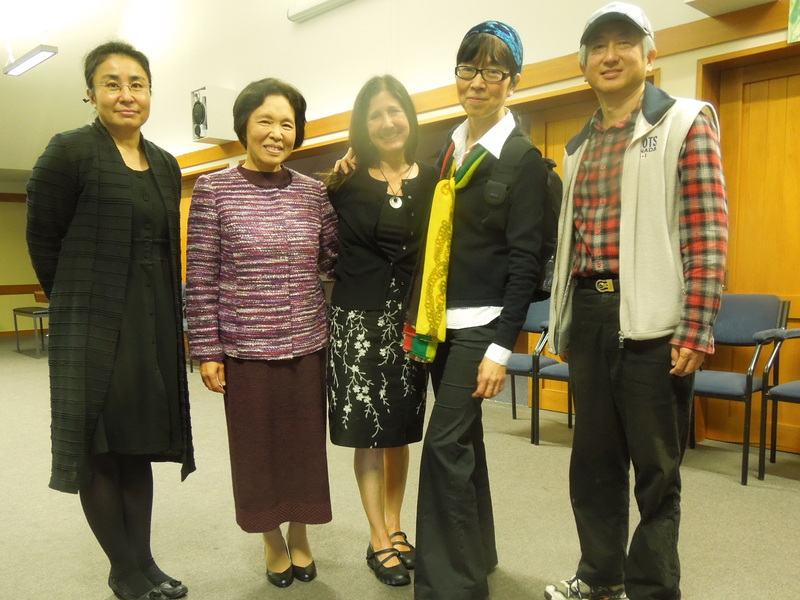 The fundraising event hosted by Hwa Hsin Taiwanese Society of Christchurch on 5 April 2014 was a heart-warming and entertaining occasion. Yoko Couling (an early student of the late Mr. Loo-Chi Hu) initiated the event in support of editing/post-production for the film. Yoko and Robin first met in the late 1980s at Mr. Hu’s Monday evening T’ai Chi classes at Phillipstown Hall. 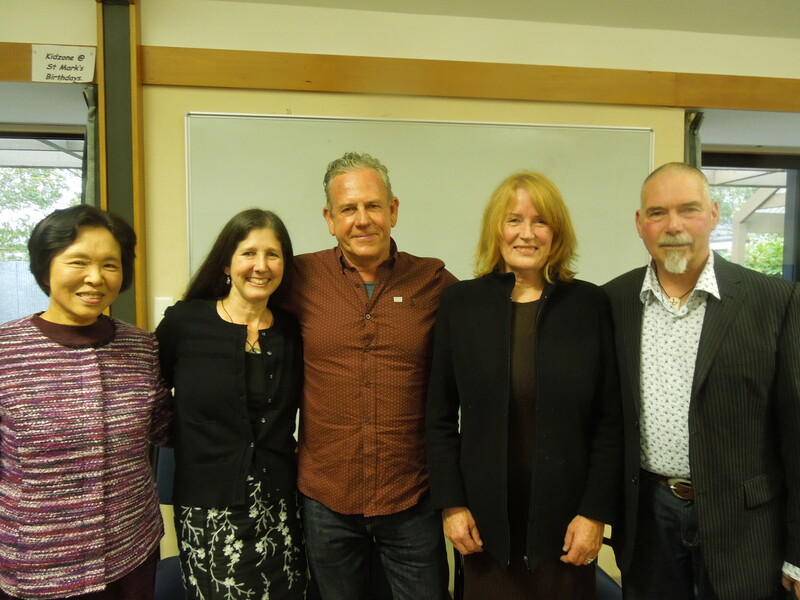 The evening was also an opportunity to celebrate the inspirational life of Mr. Hu. Outstanding performances by the Taiwanese and Canterbury Japanese Choirs, as well as by opera singer Andy Fu (President of the Hwa Hsin Taiwanese Society) were interspersed with a range of rousing short speeches from: Trevor Quirk (President, New Zealand National T’ai Chi Ch’uan Association), Lin-Lynn Chen (Committee Member, Hwa Hsin Taiwanese Society & event organizer), Mrs. Masako Kyayaba (President, Japanese Society), Yoko Couling, and Alex Fu (Committee Member of Overseas Community Affairs Council). In a wonderful impromptu speech by Mr. Pong Chang of the Taipei Economic Cultural Office in Wellington, he recalled, as a small boy, hearing his parents talk about the Free China junk’s departure from Taiwan in April 1955. We were blown away by the generosity from members of the audience, the choirs and the T’ai Chi Association. Thank you very much to everyone who helped organise and participate in this awesome event. Whilst Mr. Hu’s physical presence will be forever missed, it is our hope that the film will contribute to keeping his extraordinary legacy alive. 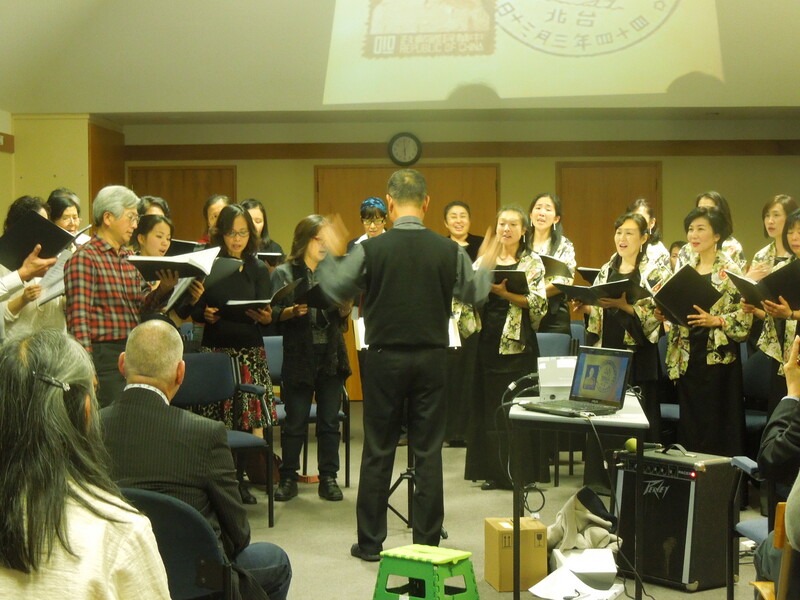 The event will feature performances by the Taiwanese Choir and the Japanese Choir, as well as clips from Robin Greenberg’s award-winning documentary The Free China Junk (2010) and scenes from the forthcoming film. All are welcome, not only to show your support for the forthcoming sequel film, but also to show our deepest respect for the late Mr. Loo-Chi Hu, one of the original junk-mates.